Don’t walk your dog today! What on earth would possess me, the ‘owner’ of two high-energy terriers who LOVE and need to trot for miles and miles and miles, to recommend that? Simply: better results. OK. I’m not really saying we shouldn’t walk our dogs. What I’m offering is the thought that we walk with our dogs, not for our dogs. This shift in perspective can make a lot of the dog-walking challenges disappear. Both Bossy and Bark can be very forward. Especially in an exciting, new park or trail or when we’re out on wet, smell-enriched ground. As a puppy and despite a lot of very solid obedience skills, Bossy pulled so hard in these settings I was sure she was going to collapse her windpipe. She could snowplow her Gentle L headhalter right off her nose. And Bark can still–at three and half–do a 5 or 6 km walk with his nose on the ground, tracking one inch ahead of his leash. Just lovely! Yet when I walk with Bossy and Bark and lose myself in music, or let my mind wander through the challenges of my work, we start walking together. The dogs just fall in at a my side. We’ll travel as a unit. We all forget the leashes. I change. Then they change. But whenever my attention snaps back to them, I’ll feel them in my hands again. We’ve fallen out of the zone. I’m sure the secret is in my more focused, peaceful and happy energy. In my deeper and even breathing. In the speed we can walk when I relax, let my arms swing naturally and just go. When I’m in this zone, I’m a whole lot more interesting and easy-going. I’m someone Bossy and Bark want to walk with, rather than someone they have to walk with. So don’t walk your dog today. Take yourself for a walk; bring your dog(s) along for company. Enjoy the fresh air, sunshine and use of your own body and mind. Lose yourself and find your dogs. See what happens when you forget about demanding respect. You might discover that you’re someone who can actually command it. 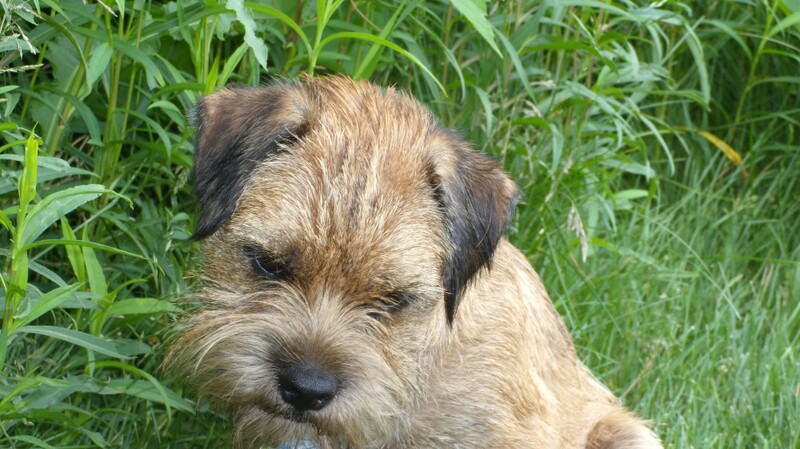 This entry was posted in Behaviour and tagged hope, Joy, Respect, terriers, Togetherness, Walking by Toni. Bookmark the permalink.